In even more New Line news, the studio has recently announced that they have purchased the rights to the Phantasm phranchise, and are planning to relaunch it as a possible trilogy! 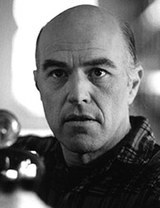 Reggie Bannister, star of Phantasm and all of its sequels, has been chatting with a few horror sites and has made it clear that this relaunch is certainly a relaunch-and not a remake. Damn, this week has rocked for horror! The big question now, however, is: will Angus Scrimm be reprising his role as the Tall Man?